St. Patrick's Day Special, 23% Off! This St. Patrick's Day jewelry features a bright flashing LED light to illuminate the shamrock necklace. 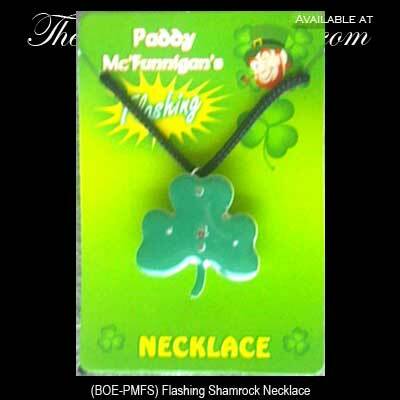 The flashing shamrock necklace from The Irish Gift House is 1 1/4" wide and the replaceable batteries are included. This piece of illuminated St. Patrick's Day jewelry includes a black cord for wearing around your neck.